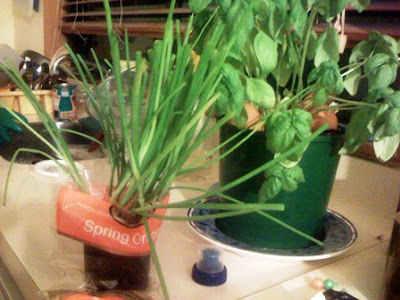 Our basil now has a companion - baby spring onions! I have recently bought a pot of baby spring onions from Countdown and planted it on a bigger container. It's quite a robust grower. After only a couple of days I have seen new growth. Spring onions is great for salads, sauces, and cooked dishes. Having it by the kitchen counter is really great because you can simply pick off a couple of stalks, chop it up, and add to your dish. The sleeve came with a description and some recipe ideas for spring onions. 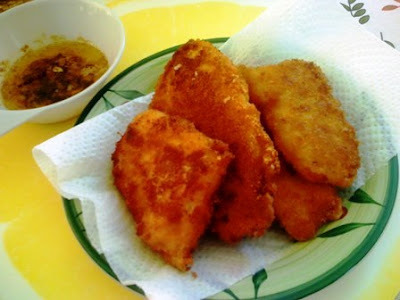 With it is a very simple butter sauce that can be used for pan-fried fish fillets. We were having breaded fish fillet for dinner so we thought we'd try it out! 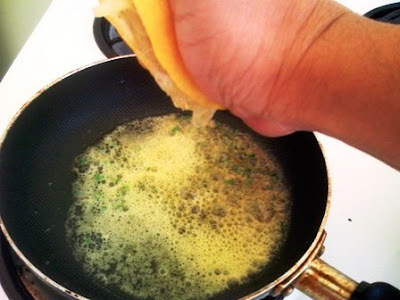 When butter is sizzling, remove from heat. Serve on a small bowl for dipping fish or any other seafood. This is a simple butter sauce recipe. There are loads more varieties in the net, incorporating other ingredients. It's a great way to enhance the simple fried seafood, and serve with dips other than ketchup.